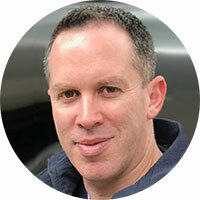 Mike Hershkovitz leads Activbody’s global sales & marketing team. Mike brings more than 20 years of experience developing and executing sales strategies for large international corporations in various industries, including medical devices, healthcare, software and telecommunications. Activbody aspires to keep the world active through fitness and health technologies designed to make exercise fun, convenient and trackable. A revolution in daily fitness, wellness and rehabilitation, Activ5 is a first-of-its-kind, wireless-enabled, isometric-based strength training device that coaches users through short duration, low impact, full body workouts. Mike’s worldly upbringing combined with a sales career that spans several continents enables him to craft innovative sales strategies for high-growth new and emerging markets, as well as build effective sales-driven organizational cultures. Mike earned a B.A. in Management and Communication from The College of Management Academic Studies in Tel Aviv, and an M.B.A. from The Coleman University in San Diego.